The giant garden Four in a Row. 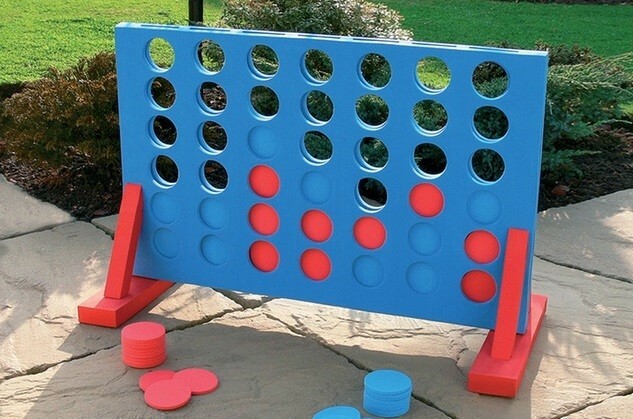 Connect 4 style game set will certainly give players something to think about and keep adults as well as children engrossed for hours. A great idea for parties and fun days. The set includes 42 soft discs and a disc frame with removable legs for easy setup and storage. Measures (approx): 70.5cm wide and 47.5 cm high. A favourite family game, now just giant size!